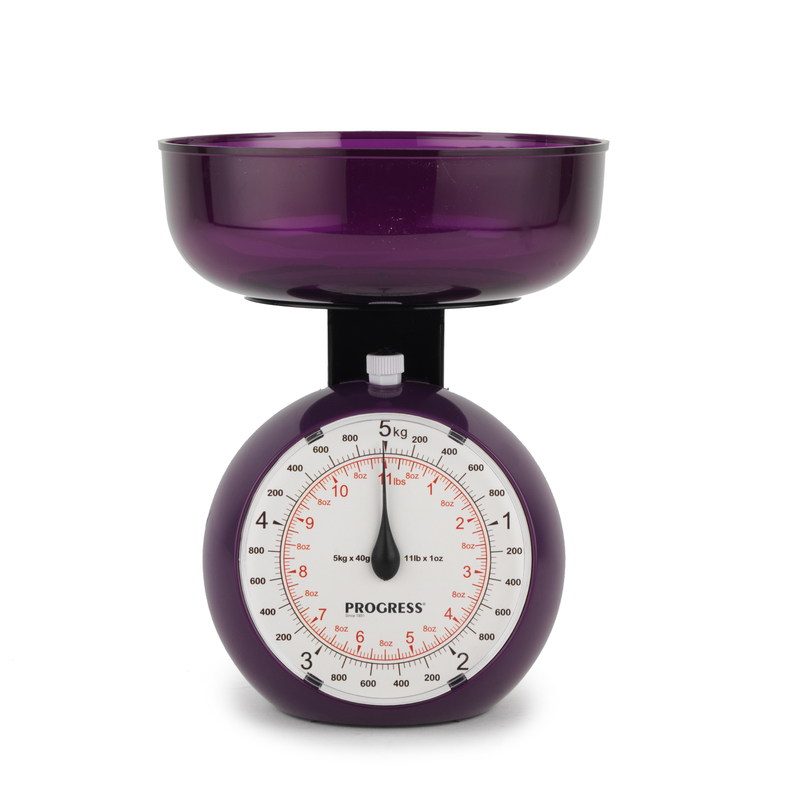 An essential item for any kitchen, this Progress orb scale has a practical design combined with contemporary style and a vibrant finish. Made from strong and lightweight material, the plastic scale will really stand out on your kitchen worktop but is also compact enough to store away in your cupboard between uses. With a large front dial which is very easy to read and includes both imperial and metric measures for all of your cooking needs, the tray also has a very generous 1.2 litre capacity. Ideal for measuring ingredients as you cook delicious meals for your entire family, this Progress orb scale will measure up to 5 kg. The scale will look fabulous on your kitchen worktop, with a beautifully large front dial for taking clear and effortless measures. With a fantastic 1.2 litre capacity, the plastic tray is suitable for measuring liquids and solids, plus clean up is incredibly easy. In a wonderfully eye-catching colour, the fun and practical design makes it the perfect addition to your existing cookware collection. Brilliantly versatile, the scale measures in both imperial and metric for your convenience so you can experiment with new recipes.